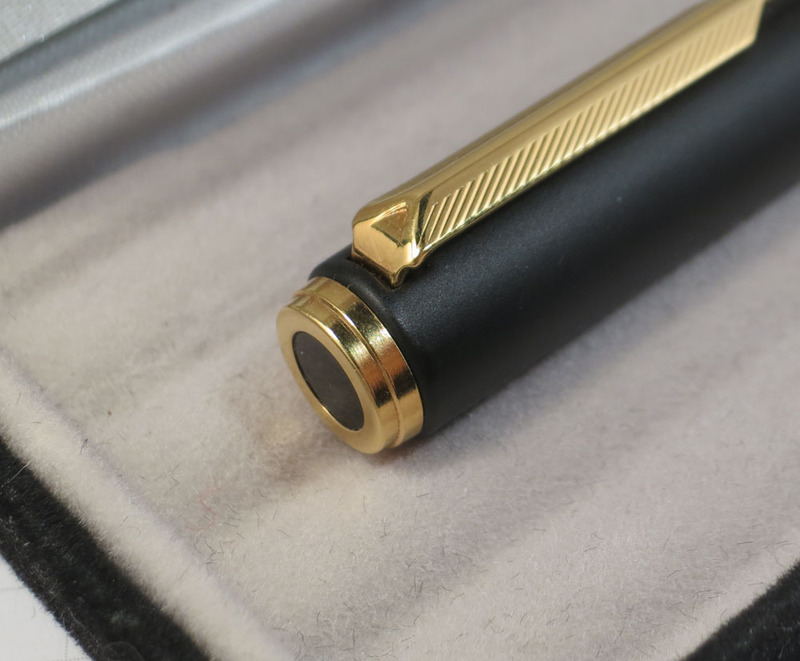 This is a Parker 95 fountain pen, matte black / gold trim, fine nib. 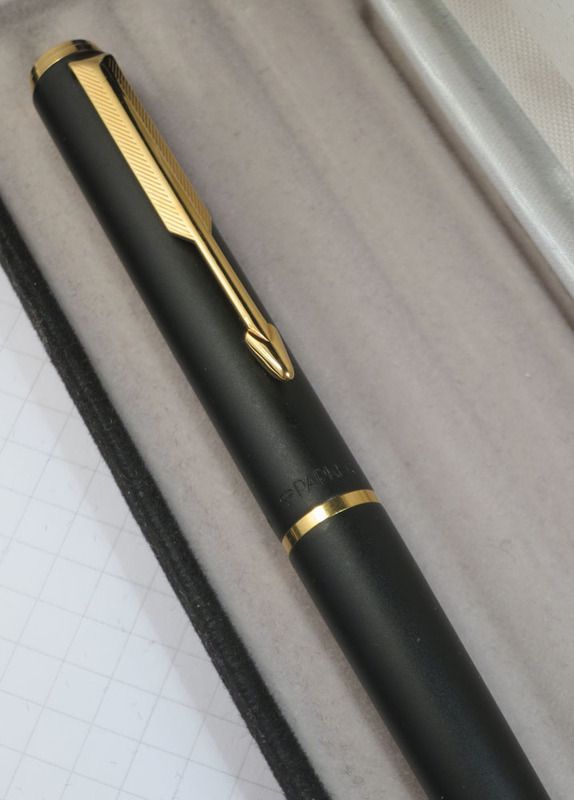 I got it from eBay for about $25 where it was listed simply as 'Parker Pen'. It is elegantly styled and functional. It is in the 'stiff nail' tradition of all cheap Parker fountain pens, but it is very smooth and I am quite happy with how it writes. It's currently inked with Noodler's #41 Brown, a bulletproof ink, and I use it at work. 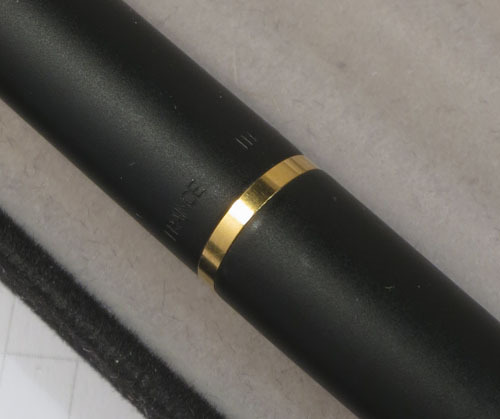 The nib is a wrap around type. 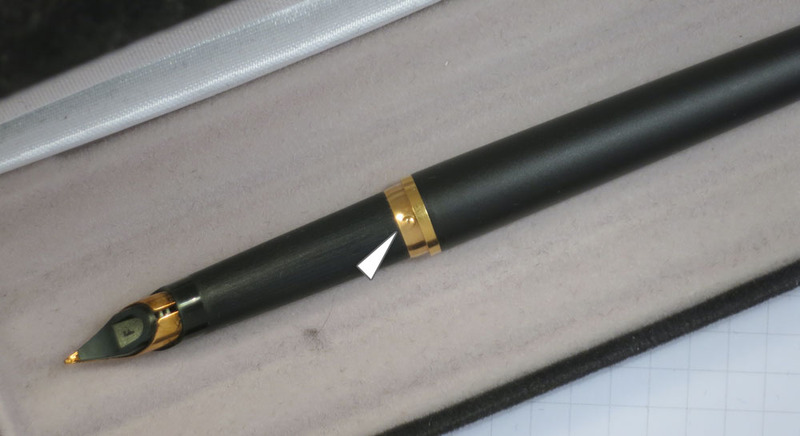 This pen has a fine (F) width nib. 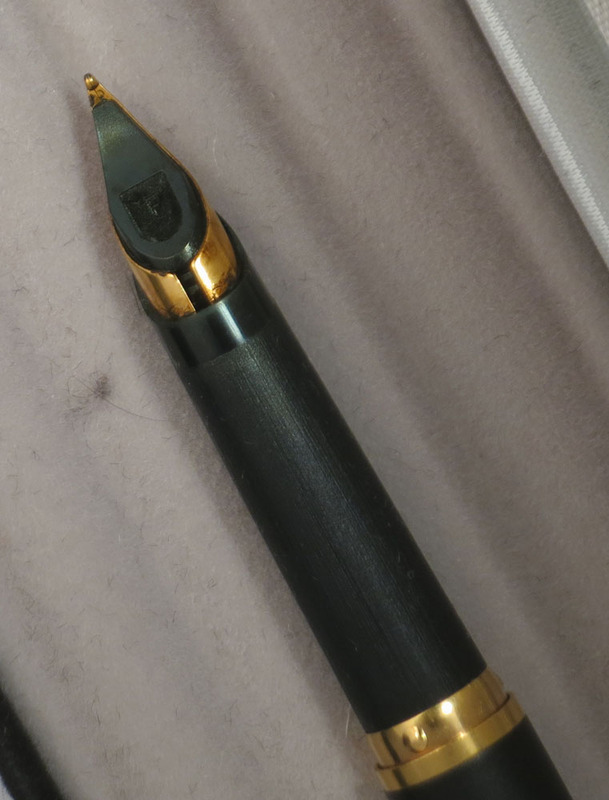 The nib is very smooth and writes a nice, wet line. 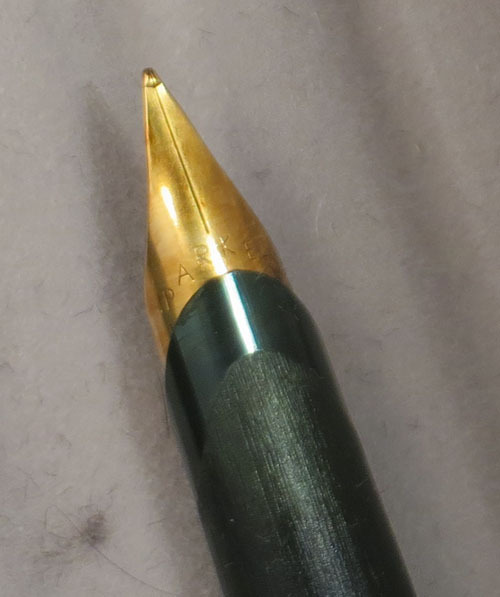 However the nib has no flex at all - it is in the ‘stiff nail’ tradition of the cheaper Parker nibs. I use this pen at work for engineering calculations, so I don’t really mind this too much. 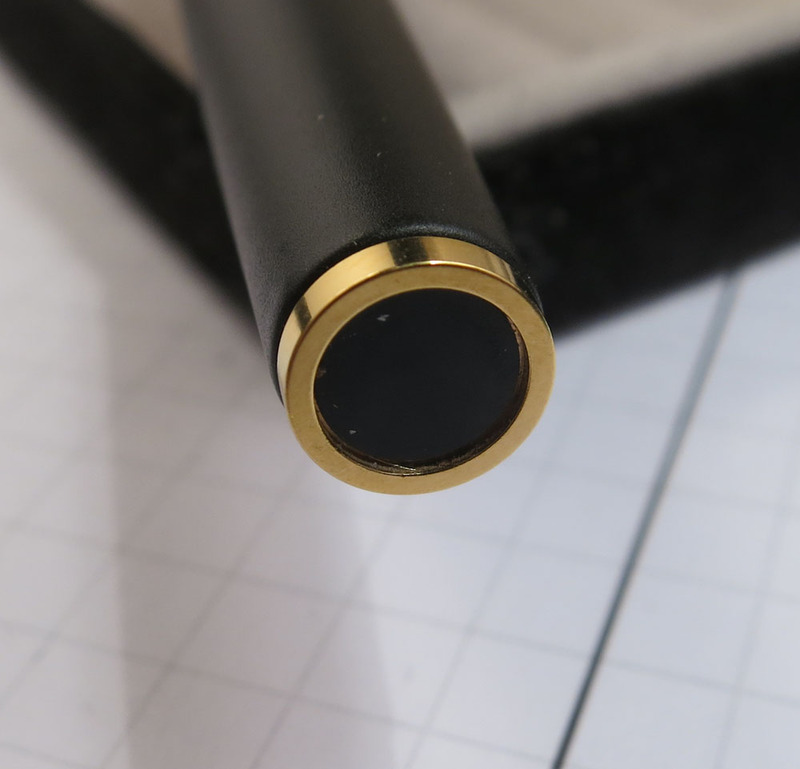 The nib unit is friction-fit into the grip section. It pulls straight out with very little force required. Excuse the covering of Noodler’s #41 Brown in these photos - the pen was inked up and in use at the time of the photos, and I didn’t want to waste the ink. Cap detail - note the finely detailed clip stamping. 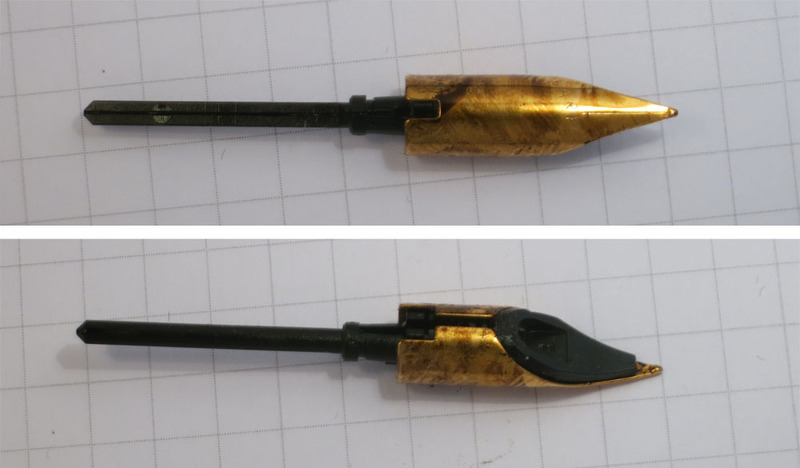 This is the same pattern of clip as used on the Parker 88 and later the Parker Rialto. I do also like the look of the Parker Rialto and own an example in matte blue. Unfortunately the Rialto is not very durable - I broke the cap trim ring on mine, and the cap is very loose due to wear of the plastic cap clutch (of which more later). I no longer use the Rialto. Date stamp detail. This example was made in France. I haven’t bothered looking up the III date code to see when this pen was made. Cap tassie detail - note the 'stepped' appearance which is characteristic of the Parker 95. Grip section detail. The green discolouration is from Noodler's #41 Brown ink. Detail of cap clutch ring. On the Parker 95 this is made of metal. The main clutching force comes from a number of metal 'stud' protrusions, which engage the lip of the cap. The cap goes on with a firm 'snap!'. Since all the parts involved are durable metal, I am confident the cap clutch will stay strong for the life of the pen. 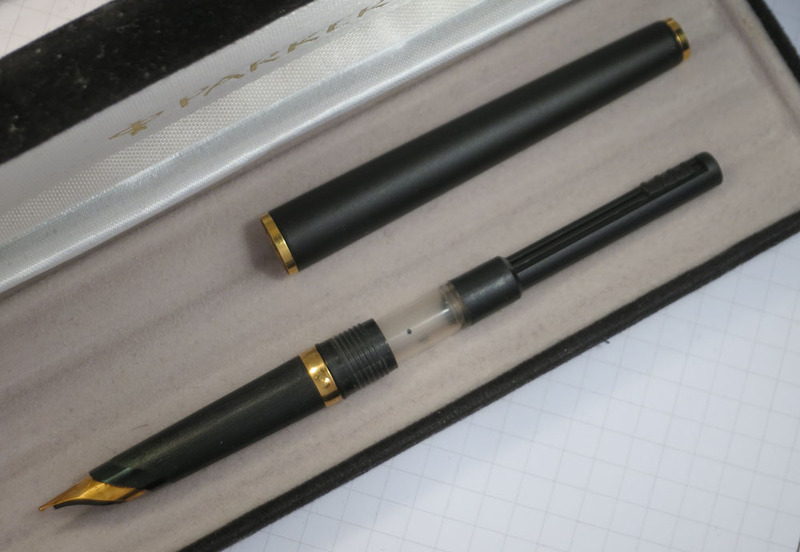 This is in contrast with the newer Parker Rialto, Parker Frontier, and Parker Vector pens I have owned, all of which use a plastic cap clutch that inevitably wears out over time. Tail tassie detail. Note the black insert appears to be an adhesive sticker of some kind, probably hiding a screw. 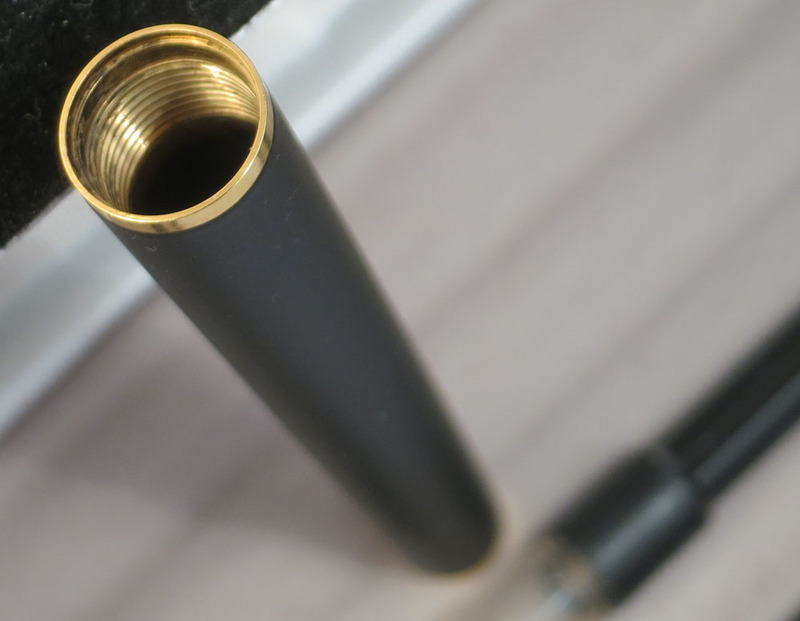 The barrel threading is brass, which is nice. This is my extremely high-tech macro photography rig. 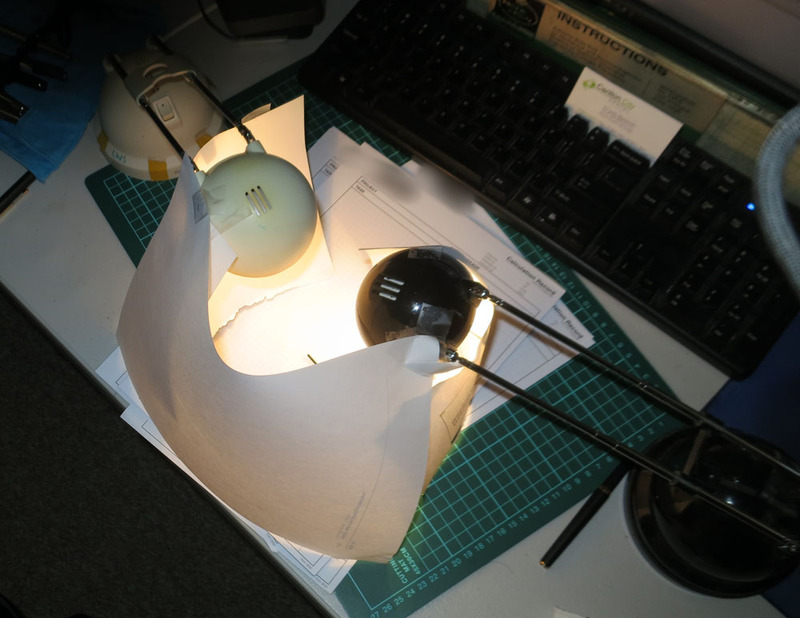 The white paper sheets sticky-taped to the lamps serve as white reflectors. It's not quite a light tent, but it does the job.